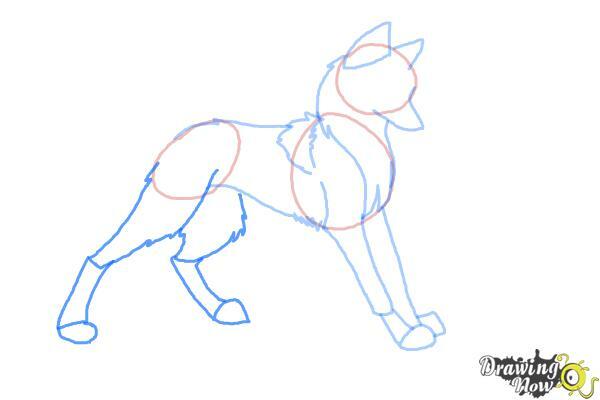 Step 4: Sketch the upper neck and lower back towards the tail. 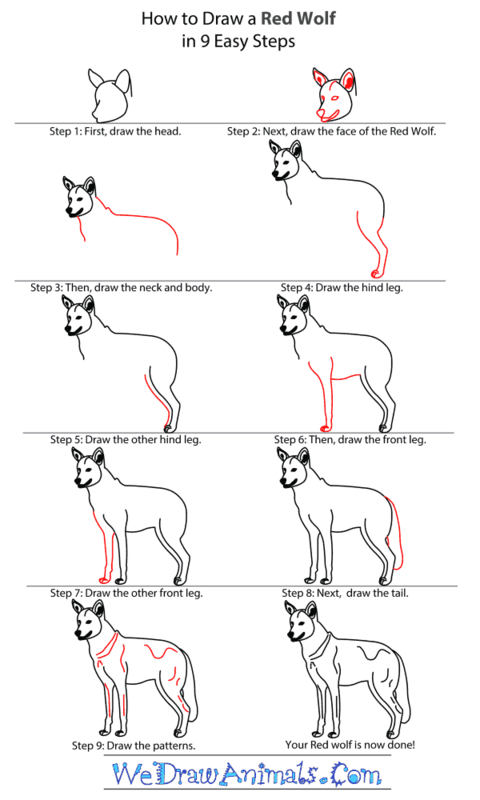 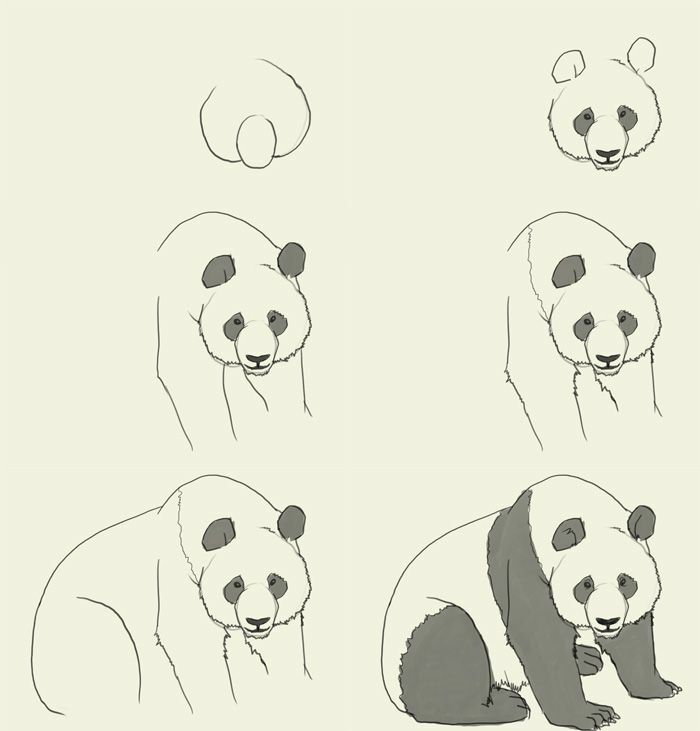 Start drawing the wolf by following each of the 8 steps in sequence. 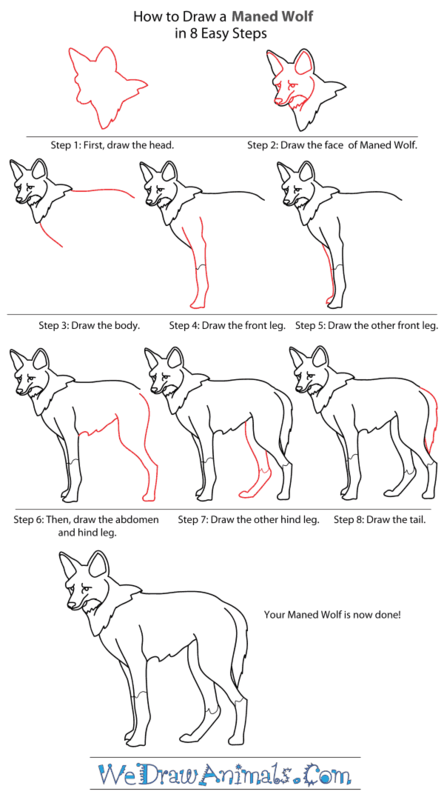 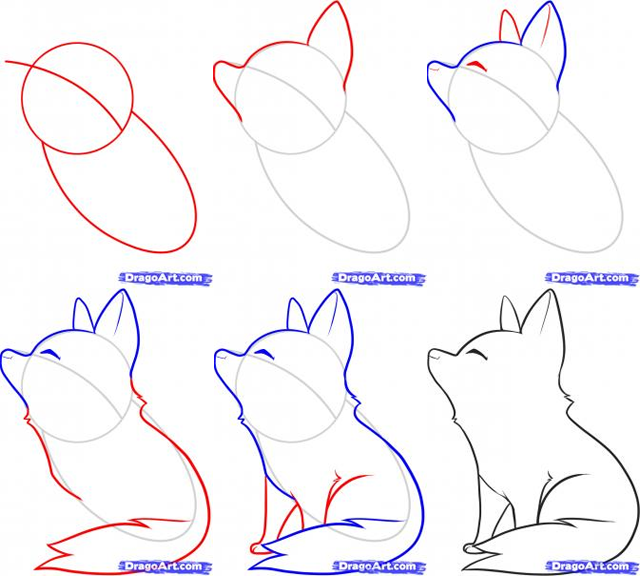 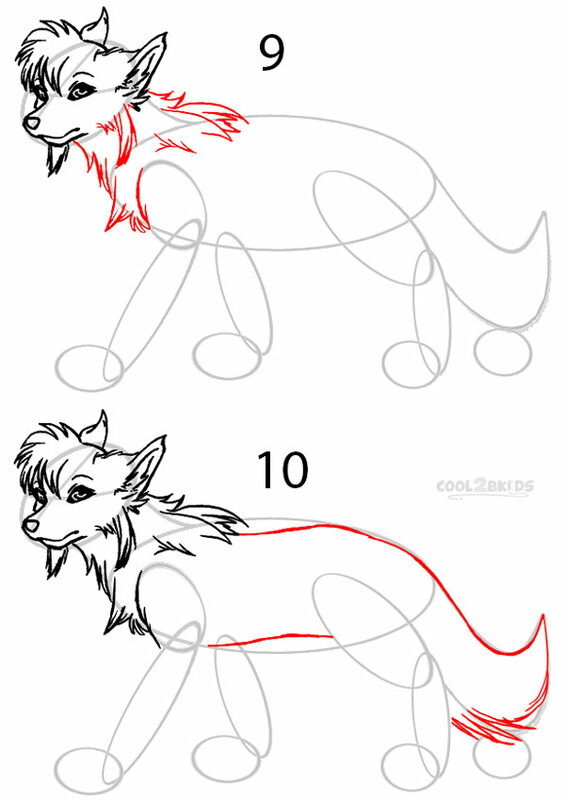 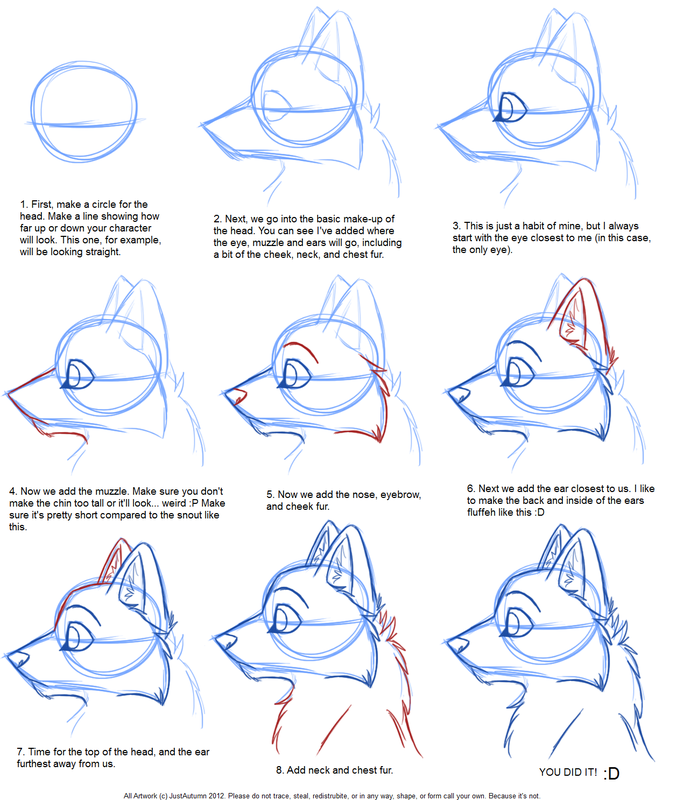 In this drawing lesson we’ll show you how to draw a Wolf in 8 easy steps. 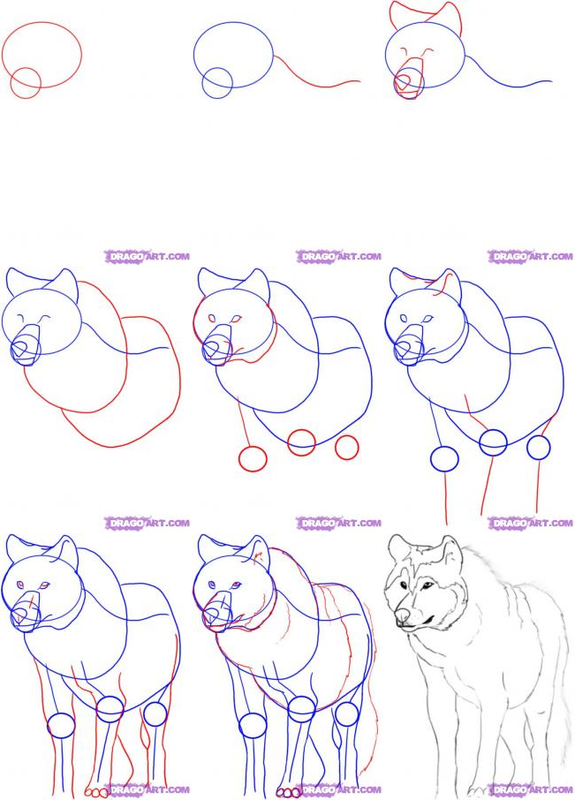 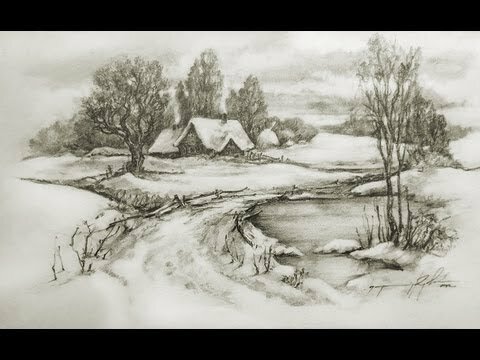 This step by step lesson progressively builds upon each previous step until you get to the final rendering of the Wolf. 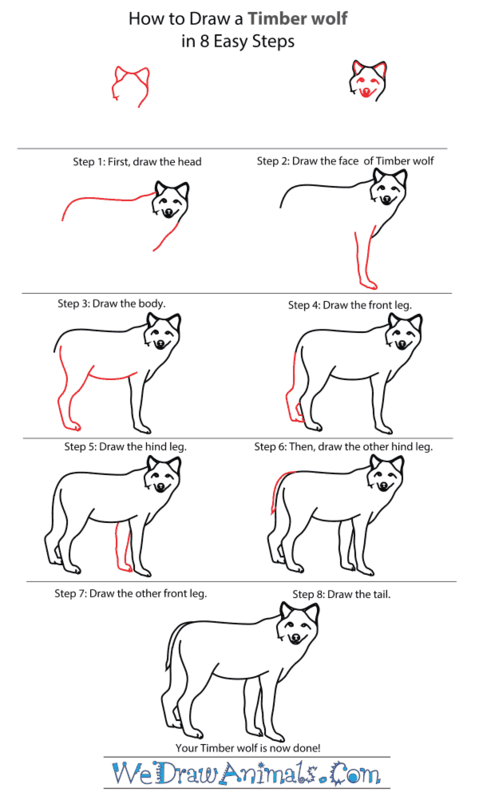 Wolves can weigh anywhere between 40 lbs and 180 lbs. 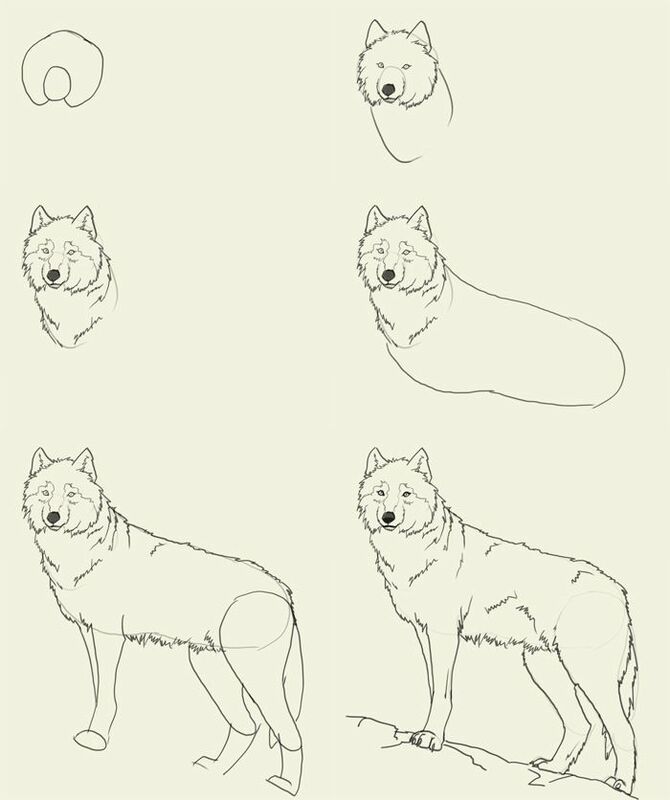 Wolves live in packs which can be as few as 2 members to as many as 25 members or more. 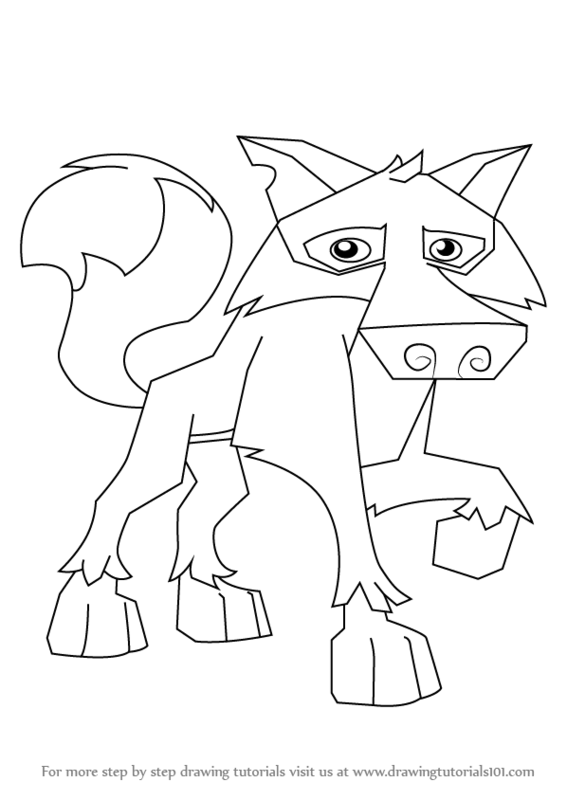 The average wolf can run up to 35 miles an hour. 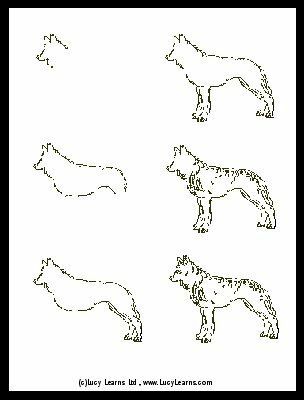 Wolves have 42 teeth. 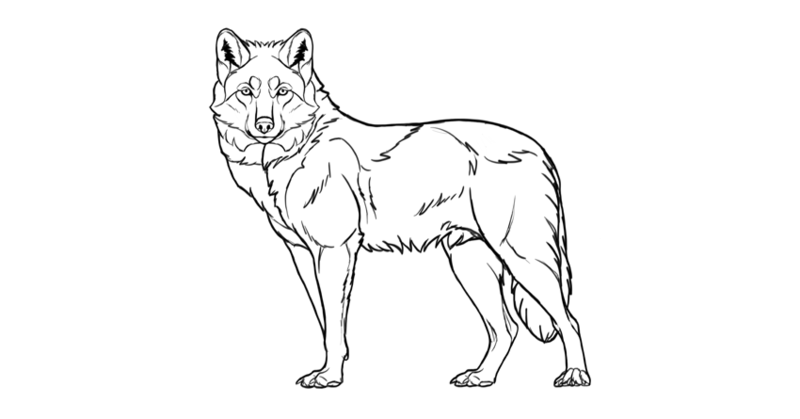 The average life span of a wolf in the wild is only 7 years though they have been known to live up to 14 years. 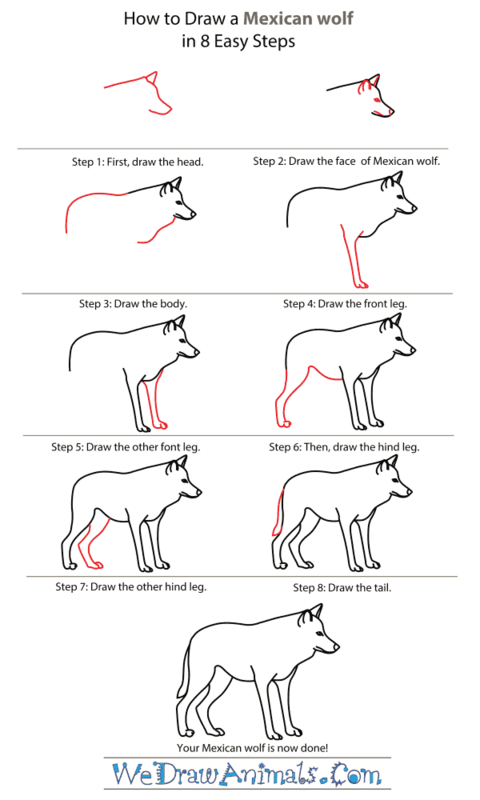 Here are some facts about Wolves that you might find interesting. 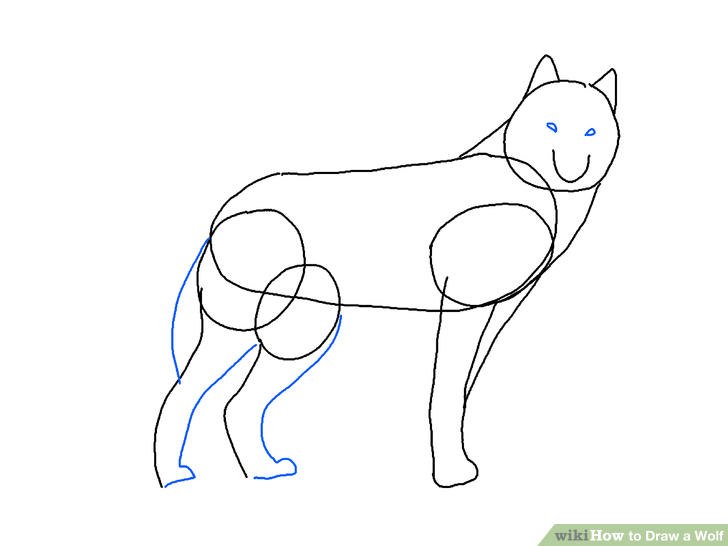 Step 5: Draw the mouth and the beginning of the front legs and rear legs. 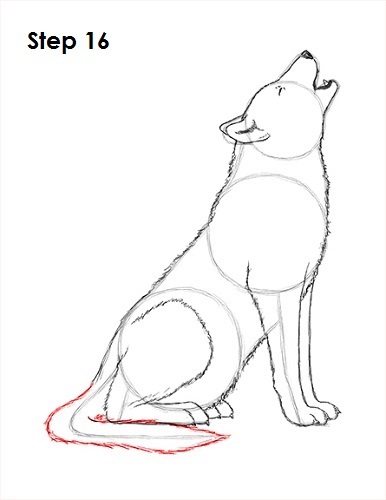 Step 8: Finally, draw the nose, eye, and second ear to complete this drawing of a Wolf. 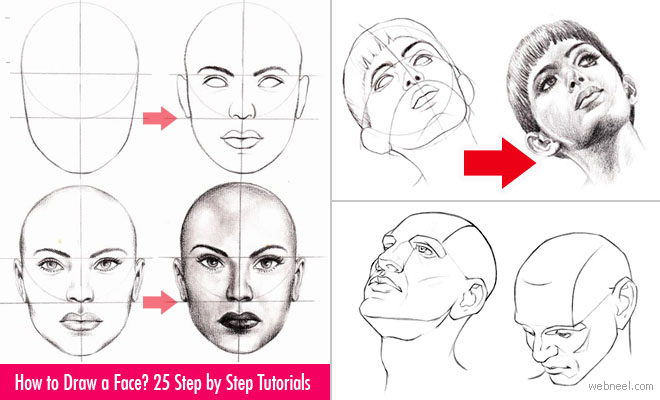 This entry was posted in Step-by-Step on November 14, 2012 by maple.